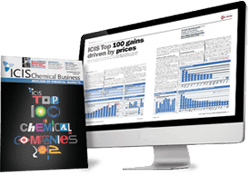 ICIS offers intelligence on the Middle East polyols markets to support your commercial decision making – from trusted pricing information, breaking news and in-depth analysis to longer-term supply and demand forecasts. Polyols supply has been stable in Q4 but spot polyether polyols imports in the Middle East have been depressed through Q4 due to high prices of feedstock PO. There were limited shutdowns or plant disruptions among the main polyols suppliers in Q4 but stagnant demand limited any attempt to pass on higher production costs to customers. Flexible polyether polyols have been largely on the sidelines but the Middle East market entered a typically strong demand season from Q3. Flex foam production in the region has been depressed by high prices of TDI but demand was slow at current elevated levels with producers having little leeway to increase prices. Rigid polyols to be stable, with very little upside potential seen. We offer the following regional Polyols coverage to keep you informed of factors and developments affecting prices in the Middle East Polyols marketplace. Middle East polyols price report – ICIS publishes spot prices for the two most commonly traded grades of polyols in the Middle East markets – conventional flexible slabstocks and base rigid polyols. Polyols are a primary polyurethanes (PU) component. 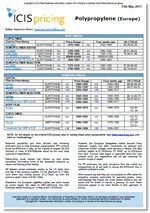 Prices are assessed in CFR for the Gulf Cooperation Council (GCC) and the East Mediterranean (East Med) regions. Countries covered in the GCC assessments are Saudi Arabia, United Arab Emirates, Iran, Kuwait, Bahrain, Oman and Qatar. For East Med, the countries included are Jordan, Syria, Lebanon and Israel. The report is published on a weekly basis and gives informed commentary on feedstock prices and trade movements, keeping you up to date with the latest trends and developments to support your business transactions today. 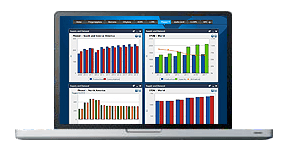 Global Supply and Demand (S&D) database – ICIS gives you an expert view of supply, demand, capacity, trade and production ownership data for the regional and global polyols markets. The database service enables you to search, shape and export data, giving you the insight you need to plan ahead with accuracy. Historical data from 1978 and forecast data up to 2030 is available.